Essence of the One is a group blog of the University of Spiritual Healing & Sufism community. Your blog host and contributors are listed here. 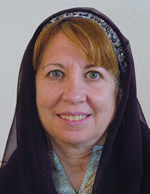 Mastura Debra Graugnard has been a student of Sufism since 1998, and was a spiritual seeker for many years prior. She helped establish the USHS in her roles as former Operations Manager and now University Relations Coordinator. Mastura obtained her Master of Divinity degree from USHS, and maintains a private healing practice offering distance healing, teleclasses, webinars and live events. Her main passions are helping people realize that they carry the Essence of the One within, and teaching them to care for their bodies and hearts as they would care for the Divine. Mastura lives in southern Florida, with her cat, Shahida. Salima Adelstein M.Ed., D.D., is one of two Co-Presidents of USHS and Dean of Education. Salima helps people to discover and embody the deep truth of their beauty and essence through her work as a healer and teacher. She also chairs the Department of Spiritual Ministry and Sufi Studies and is a faculty member. She is a master healer who has helped hundreds of clients heal from illness and lifelong emotional pain. Salima has a private healing practice in Pennsylvania and teaches spiritual healing seminars nationally and internationally. Her heart is filled with the joy and compassion that result from living in the heart of God. Kamila Carolyn Shenmen, Ph.D., Dipl.Ac., Dipl.O.M. 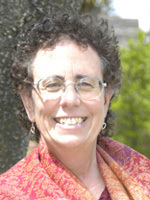 (NCCAOM), M.Div., is one of two Co-Presidents of USHS & the Dean of Admissions. She is also a graduate and faculty member of USHS. Kamila holds a Doctorate in Computer Science and Molecular Biology and worked for 18 years at the National Institutes of Health in Bethesda, Maryland. 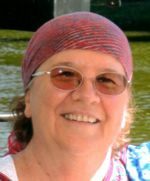 She is also a licensed practitioner of Oriental Medicine, and a former faculty member and Clinic Director of the Maryland Institute of Traditional Chinese Medicine. Kamila’s search for true healing at the deepest levels eventually led her to Shaykh Sidi Muhammad al-Jamal and the ancient spiritual healing practices of Sufism. Having found the peace and healing that comes from opening the heart to God’s love, Kamila is blessed to be able to share this path and its teachings with her students, community and clients. Nura Laird, M.Ed., is a Dean, a faculty member, and chair of the Department of Peacemaking. Nura has been a student of healing and Sufism since 1977. 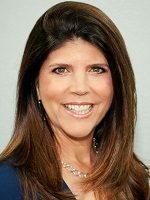 She has extensive training and experience in community and family mediation and in teaching and counseling children and adults. Since graduating from the Energy Mastery School in 1992, Nura has worked professionally as a spiritual counselor, teacher and seminar leader internationally. Nura is especially inspired to help restore the real love and peace to families, and to guide her clients and students to bring more love and peace into our world. Dr. John Wadude Laird, MD, is the past President of the University of Spiritual Healing & Sufism and a faculty member. 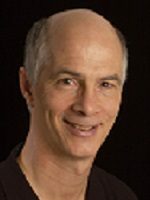 He received his medical degree from Dartmouth Medical School in 1976 and has more than thirty years of experience in direct patient care. Dr. Laird was responsible for the passage of landmark legislation in North Carolina in 1994, legalizing the practice of alternative medical therapies. 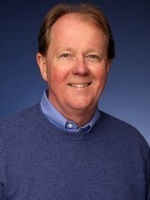 Through his activities as an administrator and healer, Dr. Laird radiates the love of God to everyone he encounters. His passion and strength inspire students to trust God fully and to give their lives in service to all who need healing and love. Maryam Reimer is our Admissions Coordinator at USHS. She loves creating an open doorway for students to taste from the deeply sacred teachings as they travel their own unique journey to Divine Love, Mercy, and Peace. Maryam’s path to Sufism came through loss of beloved family members and childhood trauma. In her search for a way out of depression and to wholeness, she found Sufism and the doorstep of Shakyh Sidi Muhammad al Jamal. 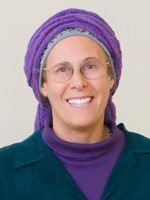 Maryam has worked in the zawiyyahs (retreats) at the Farm of Peace in Pennsylvania and the Shadhiliyya Sufi Center in California. She also holds a B.S. in Accounting from St. John Fisher College and an M.S. in Taxation from DePaul University. Rahima Susan Schmall, PhD. R.N., is a faculty member and department head of the Spiritual Healing and Counseling for Physical and Emotional Well-Being program. She is a psychologist, registered nurse and master spiritual healer who has successfully brought spirituality into her clinical practice and teaching for over thirty years. She is also the director of the Healing Intensive Retreat at the Shadhiliyya Sufi Center. 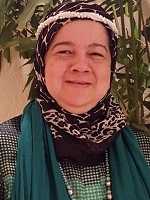 Rahima has a deep love of God and is gifted at creating a safe and nurturing space in which people with physical illness or emotional pain can work through their issues to find peace, wholeness and harmony. As a teacher, she has a passion for helping each and every student develop their own unique gifts as a healer and human being. Amany Shalaby, Ph.D., graduated as an electric engineer from`Ein Shams University, Cairo, Egypt 1985. She obtained her Post Graduate Diploma in Islamic Studies from Islamic College of Advancing Studies, Middlesex University, London, UK in 2002 and her Master’s degree in Comparative Philosophy of Religions in 2014 from the Islamic College of Advancing Studies, Middlesex University, London, UK. Amany serves as translator for our Guide, Sidi Shaykh Muhammad al-Jamal, and she works as a translator of Islamic books and teaches in diverse study circles across the states on Islamic spirituality. Amany is the author of The Essence of Creation, The Emanation of Consciousness and the forth-coming book of poetry, Hidden Pearls. She is a co-founder of Radiant Hands Inc., an organization that helps single mothers in need, and Nur Corner Institute. Paul Hamid Werder is president of LionHeart Consulting, Inc. and has been a successful consultant in organizational change and leadership for twenty-five years. Hamid is a faculty member at USHS, teaching in the Spiritual Ministry department. He has merged his traditional business acumen with spiritual healing skills to empower leaders to work from the prophetic light that he refers to as inner wisdom. He supports students to discover their unique God-given talents and express them completely with deep humility. The ultimate result of these students’ contribution to humanity is their ability to align their clients with the light of Allah while standing up to the darkness in the world.